Its just a quick idea I had earlier. 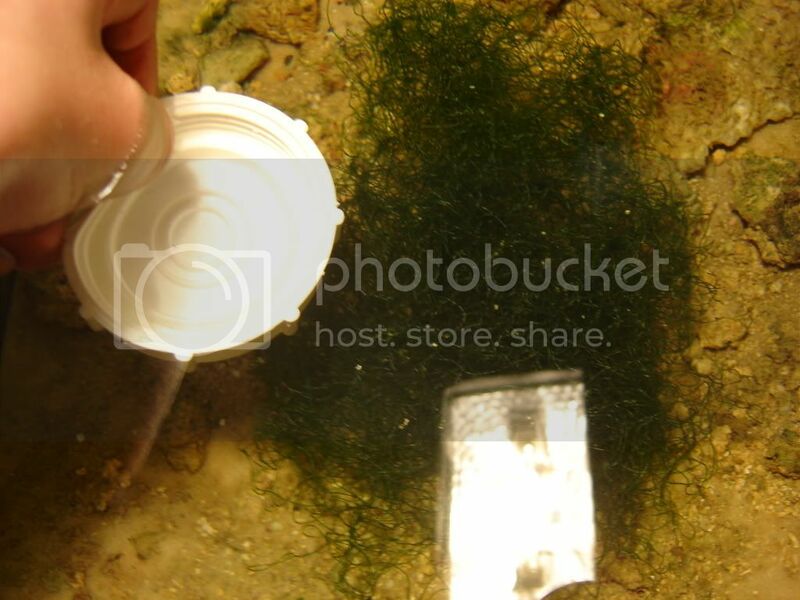 But could this sump design work...main reason for it is the extra section for more filtration methods. Also for more water volume in the system....its not completely thort thru yet. Personally i think that that could be a refuge, in that case it would work, but i do not see it being over the sump. Putting it over the sump would stop some evaporation from happening which could make your temp a little unstable. But as it being refuge it would add loads of pods to your system, you could maybe add some cheteo there. I was thinking of doing something like that on my next tank, but i would want to put on the side. That is my honest answer, good luck. I am really struggling to see what is going on here. sorry wrong spelling Chaeto, heres a pic of mine. It takes nutriunts out of the water colume, you should be able to get a peice from some one very easily. Can u buy it...or must it be grown? It grows, but people usually give it away. Don't buy, I'm sure there will be a fellow reefer near who will be able to give you a piece of theirs! You can chuck a small bush of this stuff into your sump with two energy saver bulbs above it and it will grow relatively fast, provided that lighting and nutrients is sufficient. I agree with Mtroboer but just to stop any confusion, you should try and make the lighting surfactant but you mast NOT try and make the nutrients sufficient. If you have low nutrients that is good, so if the lights are right and its not growing you have achieved low nutrients(which is really good) which most people cant do with out huge skimmers. I am also not saying that normal nutrients and the chaeto growing is bad, this is what most people have. As long as there are phosphates and nitrate your chaeto will grow. U did help with some confusion. So theres no specialised lighting needed? just plain energy savers or daily globes? Wot about a Rio Mini Sun? Thanks Ocean, yes please, don't create a lot of nutrients just in order for your chaeto to grow as that would defy the means of having chaeto! I'm not familiar with the rio mini sun sorry, but no specialized lights is required. can't figure your sump out dude, what about a 3d one for us?